The first look of Microsoft’s Edge browser that the software giant is rebuilding on Google’s open-source Web browser Chromium shows new re-touches, animations and a read-aloud accessibility option, media has reported. “When you first install the Chromium version of Edge, Microsoft will prompt you to import favourites, passwords, and browsing history from Chrome or Edge depending on your default choices,” the reportsaid. From what is known, Microsoft is yet to the “set aside tabs” and “Web writing with stylus” features. Dark mode has been added but it is only available via a testing flag. 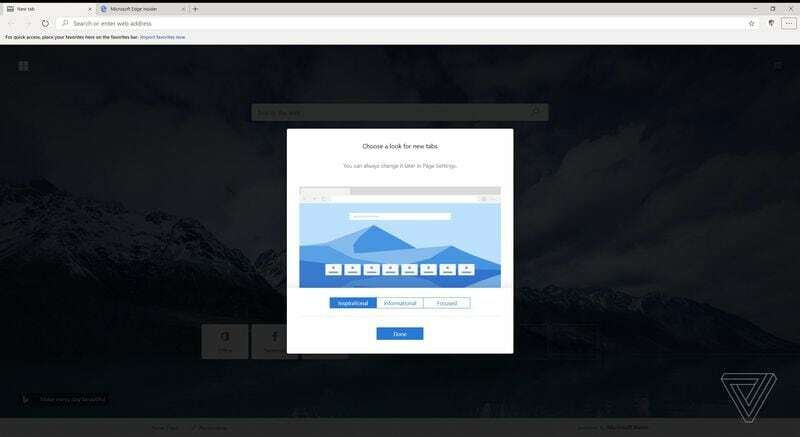 Meanwhile, the Chromium-powered version of the Edge browser has leaked online. The download links for the browser have been shared on the file-sharing websites as well as several beta sharing websites. The leaked version seems to be an early version of the Web browser.